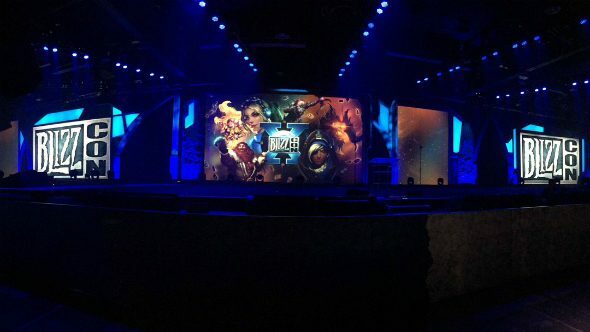 One thing you won’t have seen from BlizzCon 2016 if you weren’t at the show is the third and fourth panel stages. The events here aren’t major game announcements or even talk of minor patches, they’re used for fan meet-ups with content creators, voice actor sessions and, in this case, talks on Blizzard’s engineering methods. If you’re interested in the details of how World of Warcraft servers operate or Overwatch quality assurance testing is done, WoW fansite MMO-Champion thankfully showed up with camera in hand to record. For everything else at BlizzCon 2016, we’ve got you covered. First up, the WoW-specific panel. They talk about specific bugs, the use of invisible NPCs to move characters around and why Tauren fit through doors, among many other topics. If you’re struggling with the audio, MMOC have their own write-up of everything that was said. Then there was Blizzard in general, which talks about the complexities and pre-planning that went into Overwatch, how the Legion launch went quite so smooth – something we spoke to Blizzard about ourselves – and how Yogg’Saron actually works. Again, there’s a highlights transcriptionon MMOC if you prefer that.